This project is one of my favorites. Isn't it so cool? 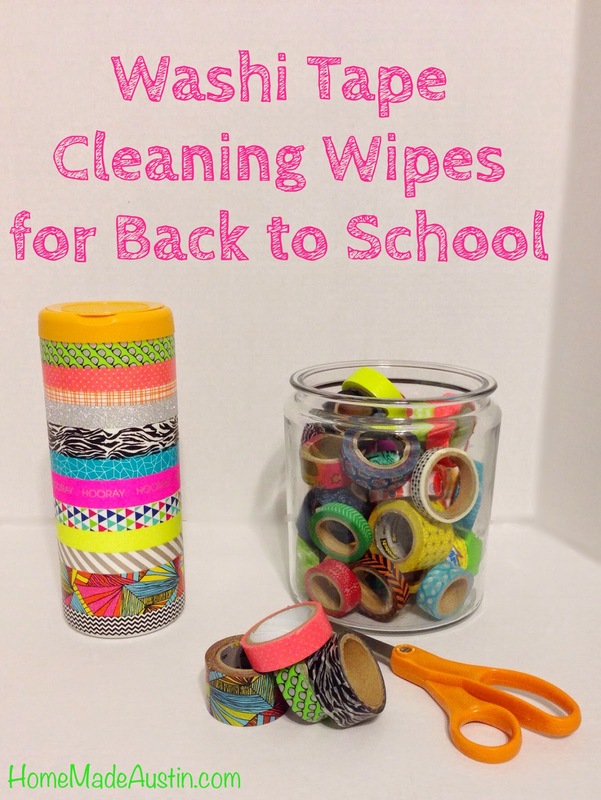 I have fallen hard for washi tape & keep looking for crafts to use it on. This gift really is a snap to make, just takes a few items & it's seriously something every single teacher can use/desperately needs -- reinforcements to help keep things clean! I used all colors/patterns under the rainbow since this one is for a kindergarten class, but the sky is literally the limit. You could use just 1 or 2 patterns of tape to make something really stylish, use different shades for an ombre look or go with different patterns of the same color. It's really only limited to your imagination. 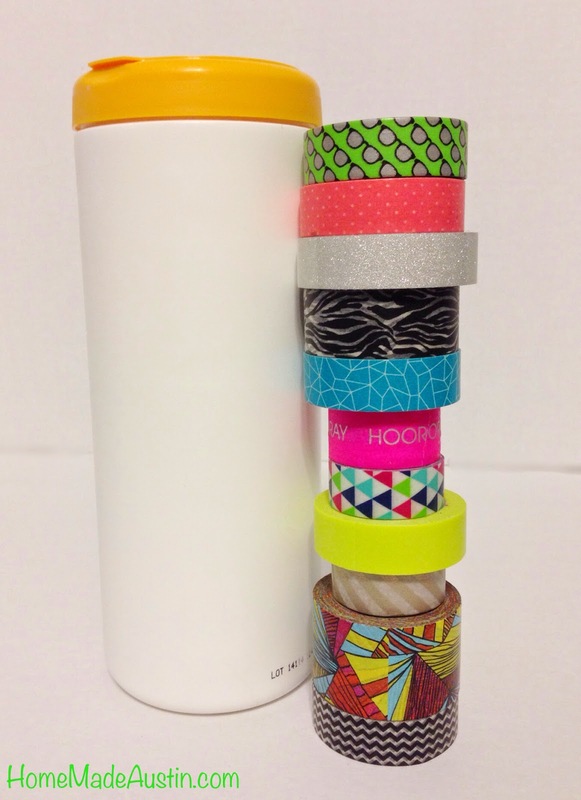 And if washi tape's not your thing, you could definitely use masking tape or duct tape, which each come in a large variety of colors & can be found anywhere from Target to JoAnns. All you need for this one is a container of disinfectant wipes (make sure it's got a paper label), washi tape & scissors. I also opted to buy these cute little tags from the dollar spot at Target to make a handwritten note, but you cold just as easily print a little sign. How perfect are these? And there are 8 in a $1 package! First things first: remove the label from your container. If there is any sticky stuff left, just use a dab of sticker remover or a damp cloth to make it a nice, smooth surface. Washi tape is 'see-through' so you want a clean canvas. 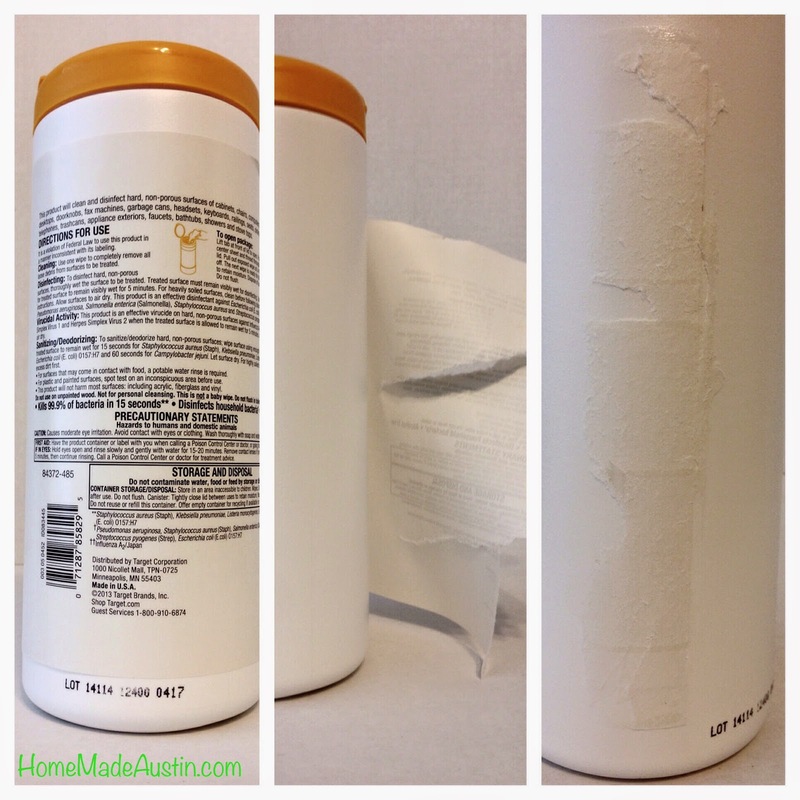 Pull off that boring old label & be sure to get that goop off! Next, pick out your washi tape. Since I was using different colors with no repeats, I stacked my rolls up next to the container to figure out my pattern & make sure I had enough picked out. Next, the easiest part: starting at the seam of the container, just make your way around with each roll of taping, trying to make it as straight & even as possible. Cut the end of the tape when you make your way back around and smooth it down with your fingers. Repeat until you've reached the top. Easy, peasey! Write up a goofy little pun & you're good!